Transferring movies from PC or Mac to your iPhone/iPad is an easy task. There are a number of ways to do this. You can either transfer them with iTunes or you can use a third-party transfer tool to do this (without iTunes). Either way, you will see how simple and straightforward the process really is. iMyFone TunesMate is a popular file transfer tool designed specifically for iPhone and iPad devices. You can use this software to transfer a variety of files (including Movies) from your PC to your iDevice. 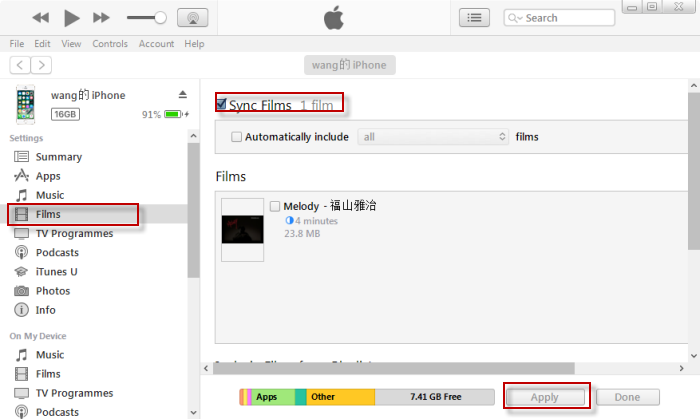 You won’t need to use iTunes when transferring media using iMyFone TunesMate. Apart from this, there are many other advantages of using this tool that include (but not limited to) faster transfer speeds, support for transfer of non-purchased media files, bulk app uninstallation, etc. All in all, you can use iMyFone TunesMate as your primary file transfer tool for your iPhone/iPad. 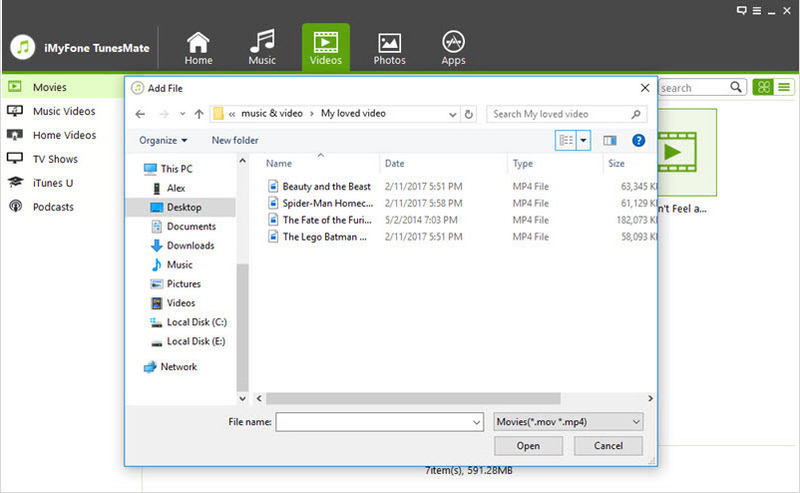 A wide range of file types are supported including movies, videos, music, playlists, audiobooks, podcasts, etc. Two-way transfers, allowing you to transfer files between your PC and your iDevice conveniently. 1-Click transfer solutions, you can back up or restore all your media via single click backup/restore feature of iMyFone TunesMate. Preview media files before transferring them. You can also view HEIC images directly on this software. Batch uninstall apps to quickly get rid of bloatware and unwanted apps. Step 1Install and launch iMyFone TunesMate on your PC. Then connect your iPhone/iPad to your PC via USB cable. Step 2Click on Videos tab and then select Add option. After that, choose Add File/Folder option, you will be asked to choose a file or folder of videos/movies from your hard disk. Step 3Choose your desired file/folder and the transfer process will start. You will be notified once the transfer process is complete. You can also transfer movies to your iPhone or iPad via iTunes. 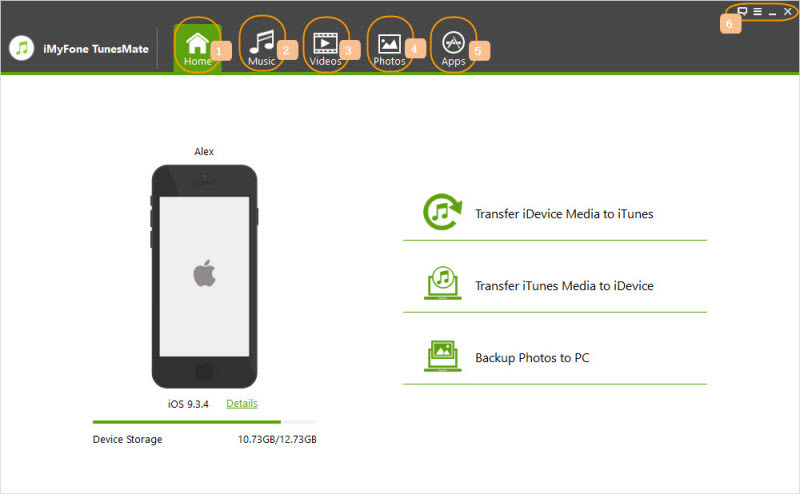 The process is pretty simple and similar to transferring any other media file to iPhone/iPad. Step 1: Download and install iTunes on your PC if you haven’t already. Launch iTunes. Step 2: Connect your iDevice to your PC via USB cable, it will be detected by iTunes. Step 3: Now select Movies section from iTunes Library. Step 4: Don’t forget to choose your device available in the navigation panel. 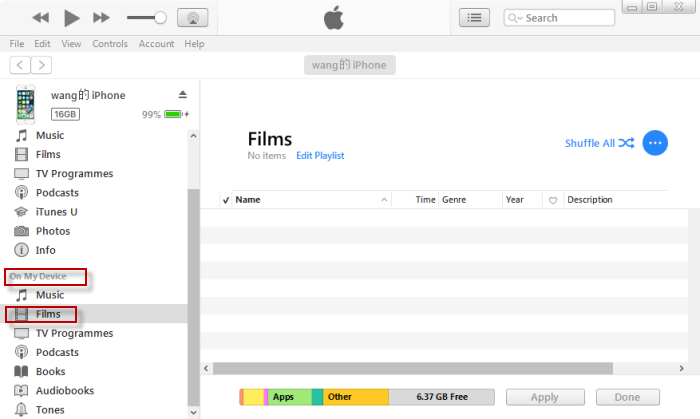 Step 5: Now simply drag and drop the movies you wish from your computer’s hard disk to the opened library on iTunes. Your movies will be transferred to your iPhone/iPad after these steps. Step 1: Connect your iDevice to your computer and launch iTunes. Step 2: Choose your iPhone/iPad on iTunes and then click on Summary option available in the navigation bar. 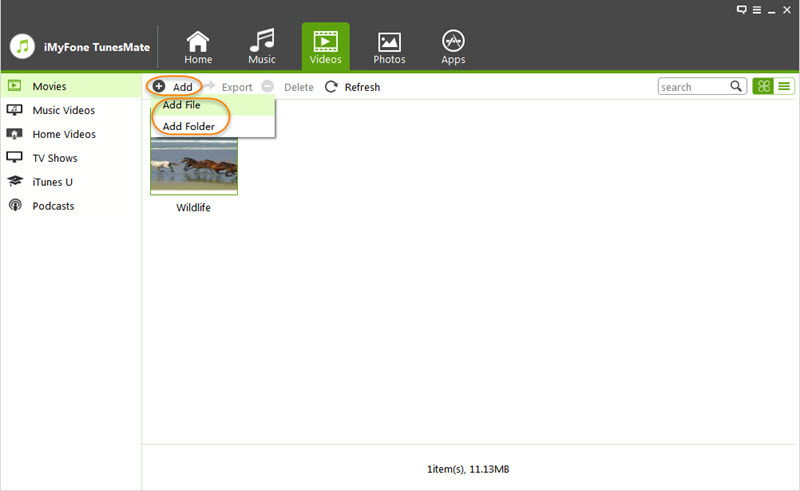 Step 3: Now click on Options and then click on the checkbox ‘Manually Manage Music and Videos’. Step 4: Click on Apply button to confirm your changes. iTunes might erase your movies you transferred previously via sync process. iTunes is also known to get stuck or crashed when you attempt to transfer large files (movies). This method of transferring movies is relatively slower as compared to iMyFone TunesMate. Sure, iTunes has a few benefits, but those benefits are heavily outweighed by the downsides. There’s no doubting that iMyFone TunesMate is a much better program.